Heat oven to 375°F. In large bowl, stir cookie mix, butter, egg, coconut, 1 cup of the baking chips and the extract until dough forms. Drop dough by rounded teaspoonfuls 2 inches apart onto ungreased cookie sheet. Bake 9 to 11 minutes or until golden brown around edges. Cool 1 minute before removing from cookie sheet; cool completely, about 20 minutes. In small microwavable bowl, microwave remaining 2/3 cup baking chips and the shortening on High 30 to 60 seconds or until mixture can be stirred smooth. 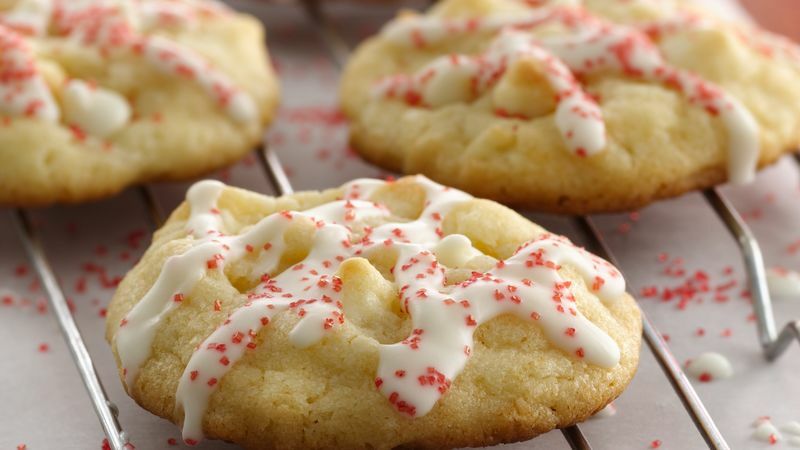 Drizzle over cookies; sprinkle with sugars as desired. Keep cookies chewy and soft by storing them tightly covered. Resealable plastic bags, plastic food containers with tight-fitting lids and metal tins work best.